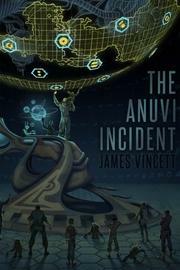 The discovery of an ancient artifact may incite an interstellar war between humans and a rancorous alien race in Vincett’s sci-fi debut. The Snirr’s occupation of Earth ultimately drove humanity to fight back, nearly exterminating the hostile aliens. By the 27th century, Earth has formed the Hominin Union with five Hominin species populating various planets in the galaxy. The Treaty of Phoenix maintains peace between the Union and aliens called the Naati. It’s the humans’ scientific survey team, however, that disrupts the tranquility, landing on the habitable third moon of the planet Anuvi III. The team stumbles upon an ancient race’s device, but because the moon’s in the Neutral Zone, a nearby Naati vessel attacks, seeking to acquire the alien technology. Lt. Cmdr. Joshua McFinn of patrol craft HSS Talon responds to the team’s distress signal, and soon the Union’s Imperial Marines are engaged in combat against the Naati. McFinn has already managed to thwart a plot to smuggle weapons into the Neutral Zone, an attempt, as it turns out, to provoke the Naati into war. But others want the same thing, and some within the Union may be willing to kill their own to ensure that the battle on Anuvi III’s moon becomes something much worse. The novel is an ambitious tale, clearly the start of an epic series. Though McFinn’s the likely protagonist, the narrative shifts its focus among multiple characters. There’s not enough room to develop each one sufficiently, but getting some perspective on so many gives the inevitable deaths more gravity. Vincett isn’t invested in the technology; his characters still use tablets and get much of their information from smartphone-esque “pockcomps.” But details of the aliens are gloriously comprehensive, particularly the Naati, clawed creatures with red orbs for eyes and spines on the heads and backs, giving humans the oft-uttered epithet “spineys.” Specifics on the ancient alien race, too, lead to a satisfying explanation of the artifact and its intended purpose. Vincett sets the stage for a sequel, which will hopefully expand on elements such as the Snirr Wars and McFinn’s politically corrupt father. Readers should be eager to explore the author’s futuristic world in this impressive series opener.